Will Climate Change Help Ticks And Mosquitoes Spread Disease : Goats and Soda The disease-spreading bugs are creeping north in the states. But will they bring diseases like Lyme and Zika with them? The black-legged tick, ixodes scapularis, can spread Lyme disease. Most creepy, crawly bugs are pretty much harmless when it comes to infectious diseases. In March, we asked: What do you want to know about climate change and its effect on global well-being? This post has the answer to a question about the impact on infectious diseases from audience member Christopher Green. Take part in our next #CuriousGoat here, focusing on the current world hunger crisis. But there are two classes of little critters that cause big — and we're talking big — problems: ticks and mosquitoes. To learn how climate change could alter the course of tick- and mosquito-borne diseases, we talked to two scientists who have devoted a major chunk of their careers to answering that question. Let's start with the bloodsuckers that can stay on your skin for days. Cocktail party chatter: These little guys aren't insects. They're arachnids. That's the same class of animal as spiders. What they cause: Ticks are best known for transmitting Lyme disease. But these arachnids carry more than a dozen diseases in the U.S., including spotted fevers, a malaria-like disease and several rare but deadly viruses, such as Heartland virus and Powassan. Lyme disease is rapidly expanding in the U.S. In the past 30 years, the number of cases has more than tripled. The disease — and the ticks that transmit it — have spread northward all the way to Maine in New England and Minnesota in the Midwest. Part of the reason? A warming climate, says Rick Ostfeld, an ecologist at the Cary Institute of Ecosystem Studies in Millbrook, N.Y. "We know that climate change has contributed to Lyme disease spreading northward and to higher elevations." Ticks need to feed on the blood of three animals over the course of two years to complete their life cycle, Ostfeld says. That meal could be a mouse, a chipmunk, a human — just something with nice, warm blood. Ticks can look for this yummy meal only when the weather is warmer — the cold-blooded insects can't move when temperatures drop near freezing. "If they don't have a long enough season to find a host, they'll use up their reserves and drop dead," Ostfeld says. A few decades ago, many places in the U.S. just didn't have a long enough summer to keep the ticks healthy. And tick-borne diseases weren't a problem in Northern states. But with spring coming earlier in many places, ticks end up having more time to look for their food. So they're surviving in more places. States in the Northern U.S., such as Maine and Vermont, used to be inhospitable to ticks. Now they have huge outbreaks of Lyme disease each summer. And these earlier springs mean ticks are out on the prowl earlier. 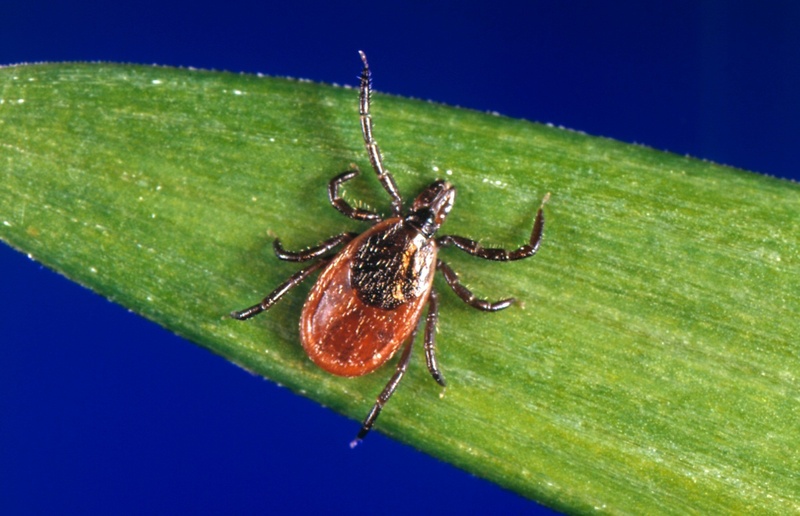 Ticks typically become a big problem in mid-May. But Ostfeld and his colleagues have found that warmer springs have bumped up the peak feeding time a few weeks, to early May or even late April. Bottom line: Climate change is likely to make Lyme disease more common in the U.S. The ticks are creeping northward and starting to bite people earlier in the year. Now, there is one big caveat to this: Ticks don't like dry weather, Ostfeld says. So if climate change brings drier springs, we might actually see a decline in tick activity in some places. Cocktail party chatter: Known as Mozzies in Australia and New Zealand, mosquitoes don't actually "bite" people. Instead, they "saw" into our skin with a set of six needles. What they transmit: The list of mosquito-borne diseases is long, including chikungunya, dengue, malaria, West Nile virus, yellow fever and Zika. How climate change is likely to affect the spread of these diseases: It's no secret that mosquitoes like warm weather. Just like ticks, these critters become inactive at low temperatures and stop growing because they're coldblooded. And winters that drop below freezing can actually wipe out particular mosquito species, including the one that spreads dengue, yellow fever and Zika. But warmer weather doesn't necessarily mean a greater chance of mosquitoes spreading more dengue, more yellow fever and more Zika, says Erin Mordecai, who studies the ecology of infectious diseases at Stanford University. In fact, hotter weather could mean fewer cases of mosquito-borne diseases in some places. When a mosquito bites a person with a virus or parasite, the insect swallows the pathogen. Eventually, the mosquito can pass that pathogen onto another person. But not right away. "That pathogen has to basically go through an incubation period within the mosquito — anywhere from a couple of days to over a week," Mordecai says. The amount of time depends on the temperature outside. The warmer the weather, the faster the pathogen will be ready to infect another person. But there's a major obstacle for the pathogen: Mosquitoes don't live very long, only about a few weeks to a month. The mosquito's life span also depends on the outside temperature — but in the opposite direction. The warmer the weather, the shorter the mosquito's life. So in a way, it's a race between maturation of the pathogen and the mosquito's life span. At cooler temperatures, the pathogen will take too long to mature. The mosquito will be dead before it has a chance to infect another person. At high temperatures, the pathogen will mature quickly but the mosquito will also die quickly. But in places where the temperature is currently just slightly too cool for transmission of mosquito-borne diseases, warmer summers could tip the balance and trigger transmission of mosquito-borne diseases in new places. "That's why we're worried about climate change in temperate zones," Mordecai says. "Warmer temperatures will speed up the parasite's development rate and just make the region more suitable for transmission of diseases." So in the Southern U.S., for example, the transmission season might expand from just summer into spring and fall. "Or in a place like Miami, that already has warm temperatures, transmission could occur year-round," she says. Bottom line: The jury is still out on how climate change will alter mosquito-borne diseases. The final outcome is likely to depend on the place, the diseases and the specific mosquito that carries them. But here in the U.S., warmer springs and summers are likely to make transmission worse in the South and possibly cause diseases to creep northward. Thanks to our readers who submitted questions to #CuriousGoat. Want to propose a question for our next callout, on the topic of world hunger and famine? Click here.